We have lived through two practical attempts to realise these in their pure form: the centrally state-planned economies of the Soviet type and the totally unrestricted and uncontrolled free-market capitalist economy. The first broke down in the 1980s, and the European communist political systems with it. The second is breaking down before our eyes in the greatest crisis of global capitalism since the 1930s. In some ways it is a greater crisis than in the 1930s, because the globalisation of the economy was not then as far advanced as it is today, and the crisis did not affect the planned economy of the Soviet Union. We don’t yet know how grave and lasting the consequences of the present world crisis will be, but they certainly mark the end of the sort of free-market capitalism that captured the world and its governments in the years since Margaret Thatcher and President Reagan. 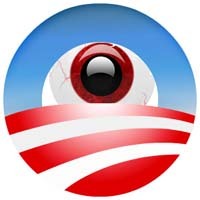 While the Obama-led Democrats control the future of the United States of America, the grassroots on the Internet (The Obama Forum) are in the process of turning in “enemies of Obama”, including the parents of children who are Obama supporters. Obama supporting children have actually posted their parents’ names and addresses on the Obama Forum. (here). In all of its searches, Canada Free Press (CFP) has found no comment from any official in the Obama administration repudiating the Forum. The Obamaforum.com instructs people to “Report Anti-Obama Sentiment By Your Coworkers and Peers (here) and more. All mainstreet Americans can do is hope that the secret service who visited the Oklahoma city motorist, tooling around town with the “abort Obama sign” on his car, does not log onto the Forum. “The following is not for those who are frightened easily or for those with a weak stomach,” a CFP tipster wrote. From the Obama Forum: Ban websites with the help of officials(Italics CFP’s). www.mccain.senate.gov <—Ran against Obama and attacking him now. drudgereport has a bunch of firearms sites and a ton of others. Here they are keeping a list and checking it twice…”Ok, if you see a car with a bumper sticker or anything about freedom or liberty or hatred for taxes or one of those “Nobamba” bumper stickers or anything that is against the government or Obama, do what you can to mark down the license plate number. Maybe the make and model of the car, I bet we might be able to get a statistical probability based on make and model to just go after all of a certain type of car. The government will have need for such a list pretty soon. There is zero tolerance for Doubting Thomases on a website that likes to depict Obama as Jesus walking on water. To suggest that it was President John F. Kennedy who inspired Americans with these words, could get you branded as a racist. Other sentiments of Internet Obama supporters: “All gunowners should die”. “Websites (that) don’t comply on their own, we will take them down by force,” is their promise. “To keep hope alive, in spite of all mistakes, horrors, and crimes,recognize the obvious superiority of socialism”, their avowed mantra. Meanwhile, it’s going to be a long, intolerant and even excruciating four years.